Our Houses - 16.03.19 - Design Speaks. An Architecture Media Program. Go behind the scenes to hear how two architects have designed homes that simultaneously consider Indigenous and European cultures and histories. Archibald Street House by Kevin O’Brien Architects and Susan Ellison. Photography: Toby Scott. 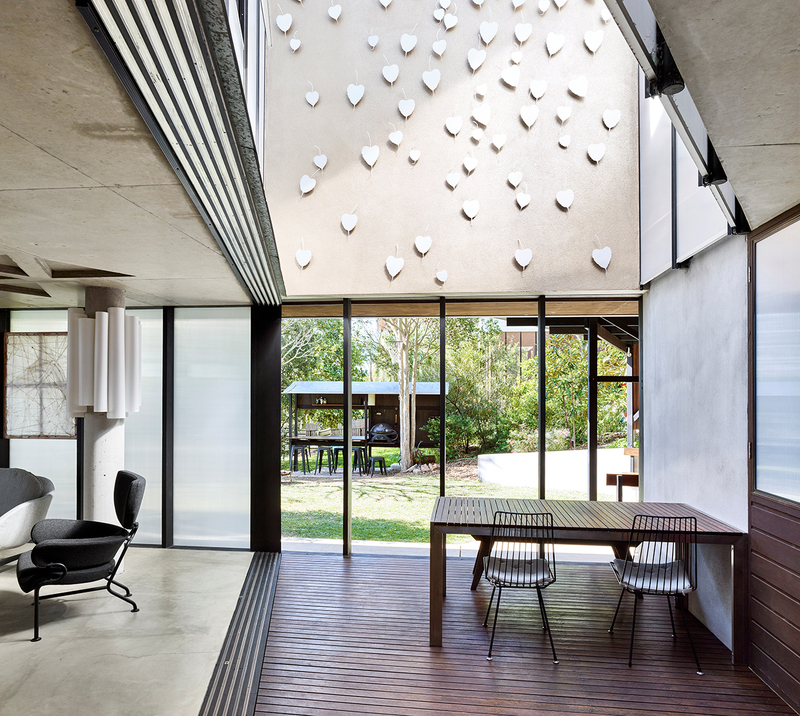 Brisbane-based architect Kevin O’Brien will give insight into the creation of the Archibald Street House, which he designed with Kevin O’Brien Architects in collaboration with Susan Ellison in 2010. Construction commenced in 2011 and continues to pursue a never-ending completion date. The house, as is common, remains the site of much experimentation. Materials, structure, systems and detail have been bound to the realization of spatial settings and the discovery of ephemeral moments (both intended and accidental) that inform the performance, experience and memory of this dwelling. Perhaps the most compelling idea of the design is located in the symmetrical design process and how that enabled a consideration of the Indigenous and European heritages of its occupants. Even now, questions remain. Is it a matter of setting or representation? Engagement or separation? Material or volume? This tension continues as a search for the possible between seemingly apparent opposites. Nicholas Dalton, founding director of New Zealand practice TOA Architects, will share the story of Motutara – a dwelling that embodies a gesture of two wings, touching the earth lightly. The first wing is named "Zealand." Paying homage to the homeland of Aotearoa’s European discoverer in 1642, Able Tasman, this wing contains the more public spaces of entry, living, kitchen, dining and snug. Zealand is open to the view to the sea and the external timber deck and landscape. The second wing is named "Ngahere," which translates to "forest." This responds to the Māori tradition, as people and forests are vitally connected – both were created by the god Tāne. The Ngahere wing houses the sleeping quarters among the surrounding trees on the site. Ngahere is private and inward-looking, with darker colours and smaller apertures to the forest and framed views to the beach.